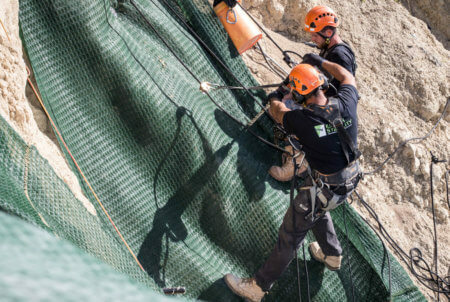 Platipus® Anchors has over 30 years experience and has proven that the combination of Percussion Driven Earth Anchors (PDEA’S®) and a high strength facing material to support the load generated by the PDEA will stabilise and prevent erosion in these applications. 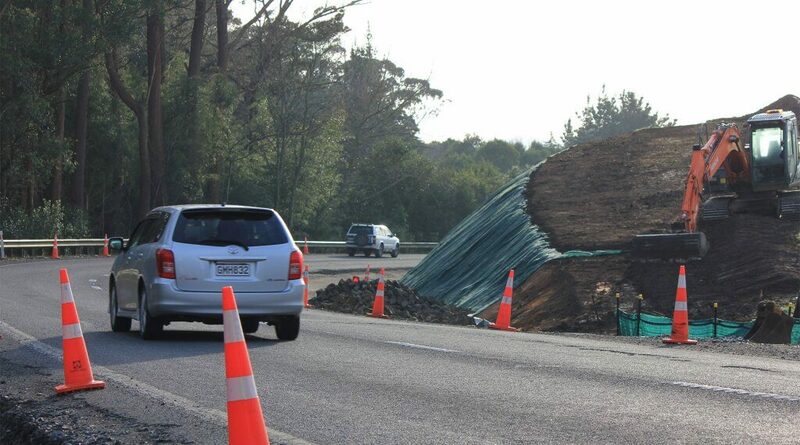 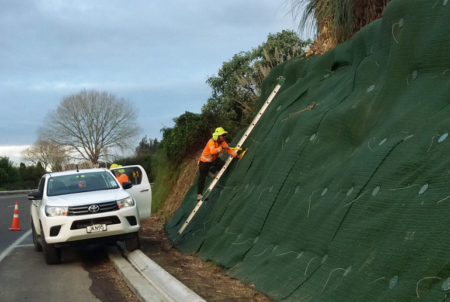 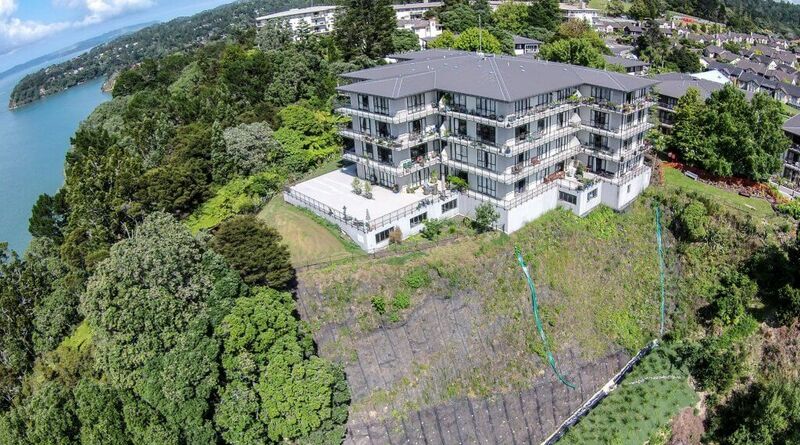 Stabilising slopes offer significant challenges. 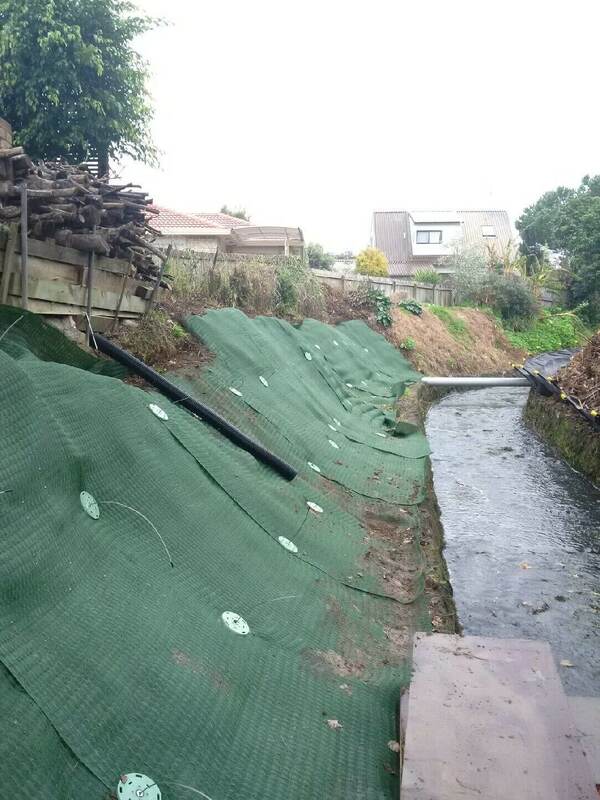 The lack of deep-rooted vegetation, excess water, poor drainage, and over steepening often makes them susceptible to erosion or instability. 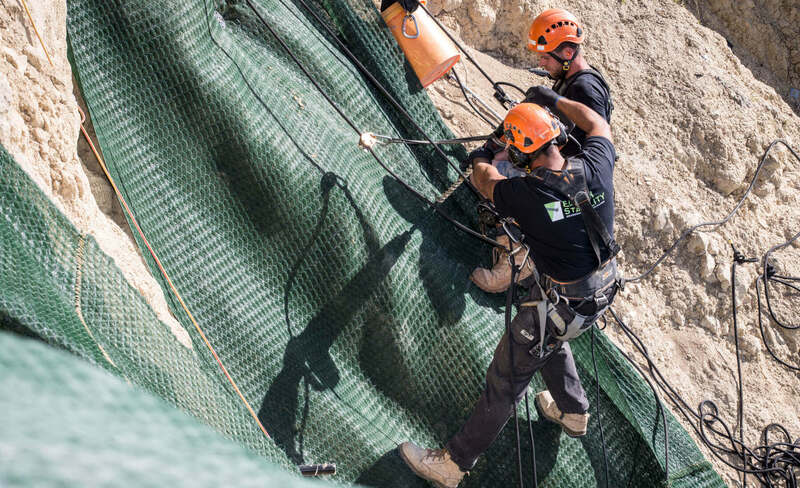 Platipus Anchors has proven that with many decades experience the combination of PDEA’s and a high strength facing material to support the load generated by the PDEA will stabilise and prevent erosion in these applications. 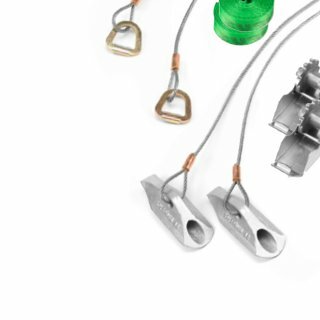 The Platipus S2 ARGS PDEA assembly comes in a variety of configurations with up to 1m of 3mm stainless steel wire tendon, two sizes of HDPE load plate and either a copper ferrule or wedge grip option. 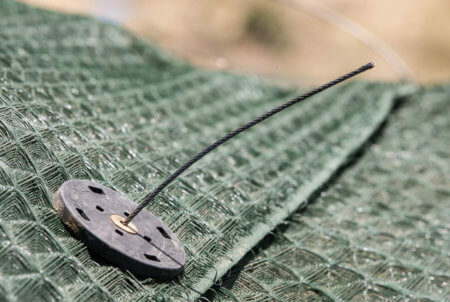 The anchor system should be driven through the surface covering material to a minimum depth of 450mm to provide an ultimate holding capacity of up to 250kg. 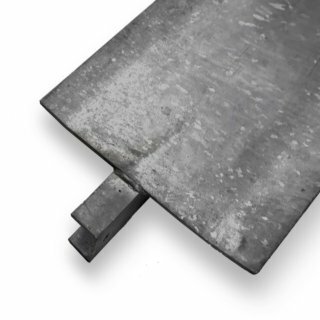 Common facings used with Platipus S2 Anchors include: Turf Reinforcement Matting, Turf Pavers, Geotextiles, and HDPE Coverings. 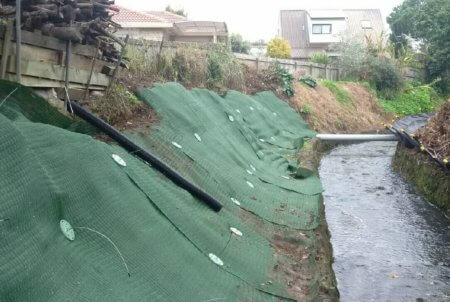 The Platipus S4 ARGS PDEA is the perfect solution for granular/non-cohesive soil. 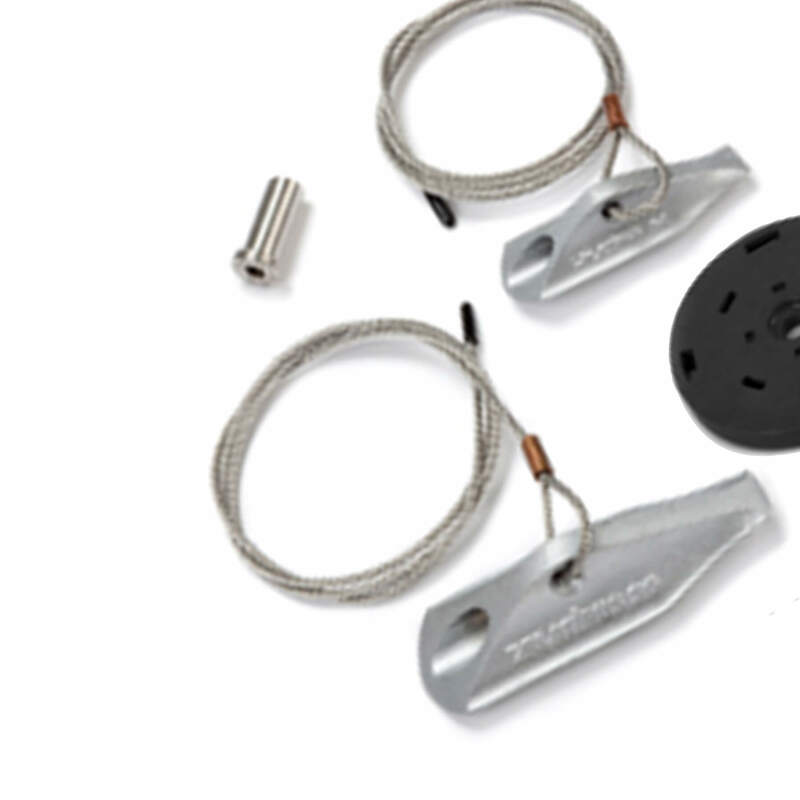 The larger S6 ARGS should be used in cohesive conditions. 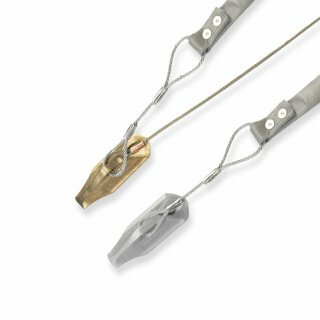 Both assemblies include a length of 4mm stainless steel wire tendon, a choice of load plates and a stainless steel conical wedge grip. They should be driven to a minimum depth of 750mm beyond the failure plane and have an ultimate holding capacity of 1000kg. 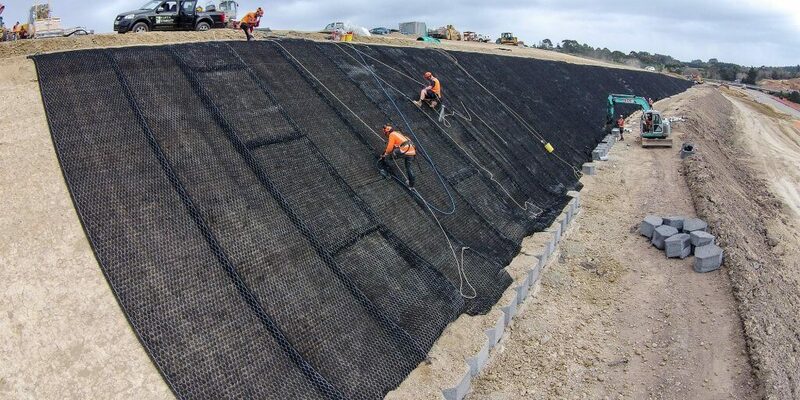 Anchor depth, spacing and loads should be determined by a qualified Geotechnical Engineer. 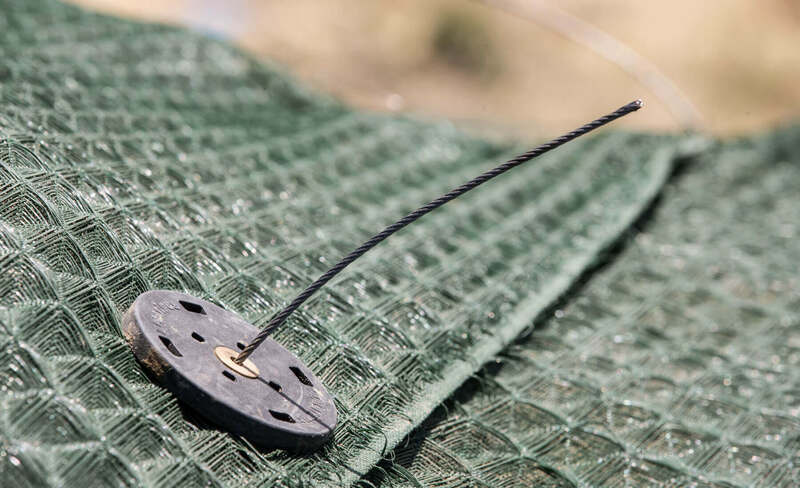 Common facings used with Platipus S4 & S6 Anchors include: High Performance Turf Reinforcement Matting (HPTRM), high strength Geotextiles & Geogrid, and Rockfall Mesh. 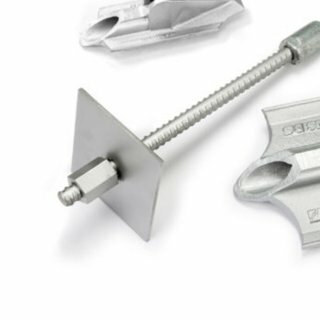 Platipus®, ARGS® and PDEA® are Registered Trademarks of Platipus Anchor, registered in England.